The Involvement Centre is based on Colliers Lane in Kilkenny City and is a peer-led support service for adults with Mental Health difficulties, their families and friends. It was established as part of ARI (Advancing Recovery Ireland) and is run by volunteers. 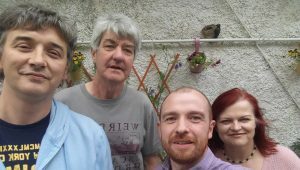 Users of the service, along with volunteers are currently busy rehearsing a new radio play called A RIVER WALK which was written by Kilkenny based author, Frank Marshall and is being produced by the newly set up theatre group, “Lake Productions”. 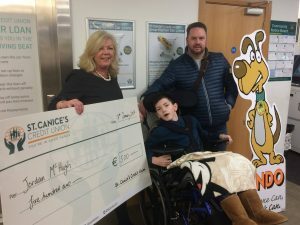 St. Canice’s Credit Union is delighted to be the sole sponsor of the production of a A RIVER WALK. 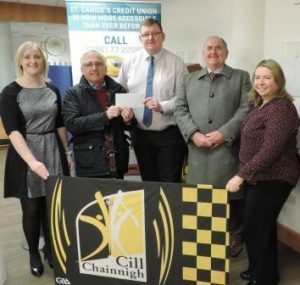 We’re proud to support Kilkenny Ladies Gaelic Football. 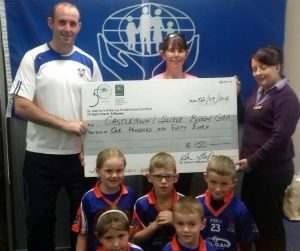 Our sponsorship was announced at their blitz on the Kells Road on 17th June. 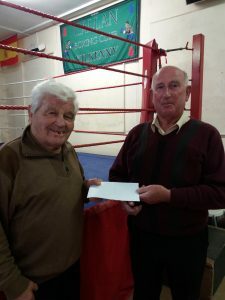 In early 2018 a group of concerned citizens with links to Newpark Resource Centre decided to raise funds to install a defibrillator with 24 hour access in the area. 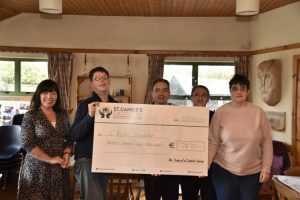 Led by Frank Cody and Margaret Lanigan the group reached out to local businesses for support as well as hosting fundraisers including a launch and coffee morning in Newpark Resource Centre. 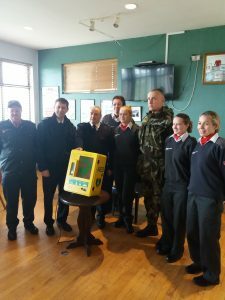 St. Canice’s Credit Union were delighted to be able to support the appeal and are thrilled that only a couple of months since the plans were formed one defibrillator has already been installed at Eurospar in the Newpark Shopping Centre. There are also plans to install a number of other units in the area. It’s a huge achievement for the group and a great benefit to the local community. We’re delighted to support the youth of Kilkenny and it’s surrounding areas through the Youth Bank initiative run by Ossory Youth. The committee members picked up their €500 sponsorship cheque from Teasie Brennan in our main branch on High Street in Kilkenny. After our merger with Callan Credit Union in 2017 we began to work with a number of local groups in the area to support them in any way we could. One of the first groups we met were L’Arche who invited us in for a tour and explained all the wonderful services they provide. Jordan McHugh called in to our High St. Branch with his Dad, Rob. We have an array of talented young people in our common bond taking part in all manner of events – sporting, academic, and artistic. 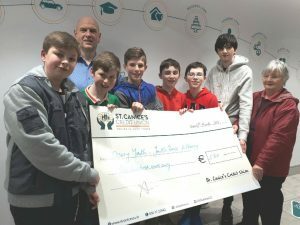 St. Canice’s does its best to support as many local schools as possible. As well as our student scholarship draw, tech assist loan schemes and special low rate student loans, we also contribute sponsorship and financial support to many local schools. Our support goes towards kits, supplies, facilities and transport, among other things. We also engage with schools by visiting Transition year and Leaving Cert students to promote the benefits of credit union membership and explain the benefits of saving and being careful with money. 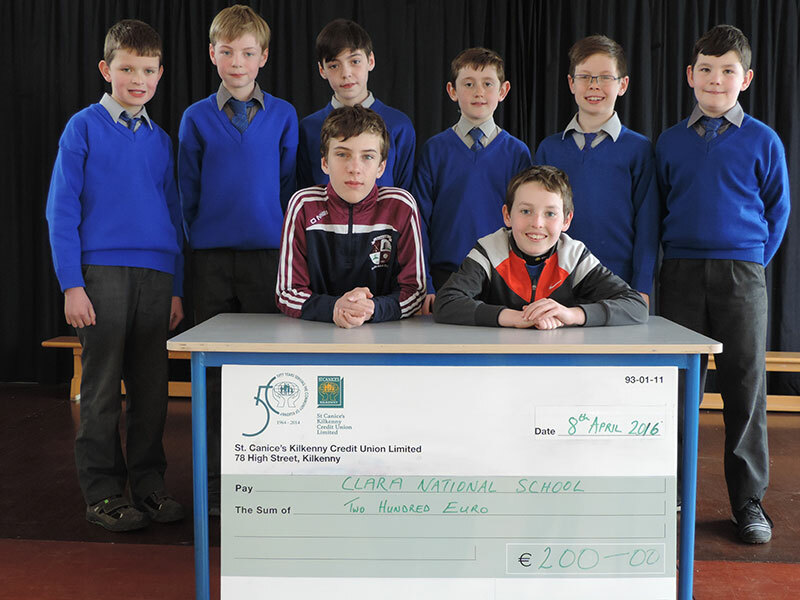 Clara National School Quiz Team that progressed to the National Finals in the RDS in Dublin. The GAA is an integral part of the fabric of society across Ireland and in this part of the world it’s especially strong. St. Canice’s Credit Union is proud to sponsor the Senior Hurling League and Championship in Kilkenny. The GAA is the biggest sporting organisation in the country with a huge number of our members taking part at all levels. Speaking with members in our Kilkenny offices, the main topic of conversation over the summer months is always hurling. 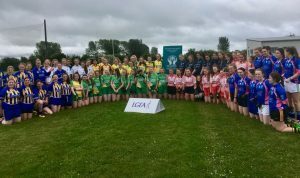 On the Laois side of the border, the interest is spread across both codes and we’re delighted to support many clubs right across our common bond area. 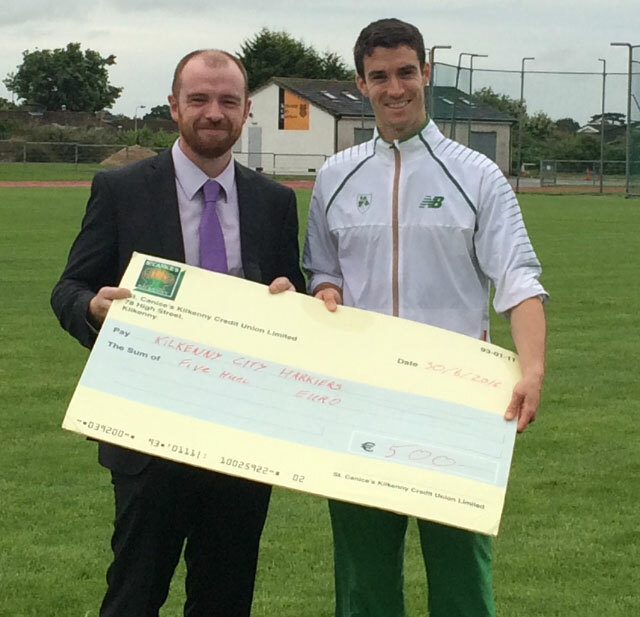 St. Canice’s is the main sponsor of the Premier Division of the league which has 9 senior teams competing. We also sponsor the U15 league with 18 teams competing across 3 divisions. The League celebrates its 90th anniversary in 2016 and we were there to support the celebrations. 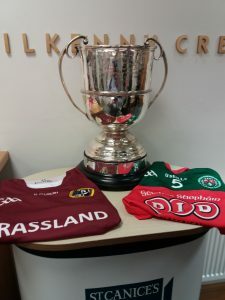 Despite the fondness for the small ball in Kilkenny, it is also a very strong soccer area and the size and popularity of the league reflects that. With 469 members and several high profile athletes competing at the highest level, the Harriers are one of Kilkenny’s most vibrant sports clubs. Founded in 1953, it operates from the running track in Scanlon Park next to the Watershed in Kilkenny. 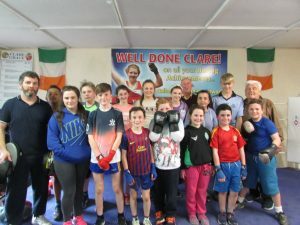 The club has a very high profile nationally and is always in with a chance of medals in both the senior men’s and women’s national competitions. The Harriers have had a representative at the last five Olympics and the club continues to go from strength to strength. Kilkenny Chamber Shopping Vouchers are available to buy from our main office on High Street in Kilkenny. They are sold in denominations of €10, €20 and €50 and can be redeemed at participating outlets in the city. With over 150 participating outlets in Kilkenny, they are an ideal gift for friends and family alike. St. Canice’s Credit Union is delighted to be a longtime supporter of Keep Kilkenny Beautiful. Founded in 1980, the committee is part of our vibrant city community. It works throughout the year with the city authorities, residents associations, voluntary groups, business and tourism organisations to enhance our city and create a wonderful place to live. 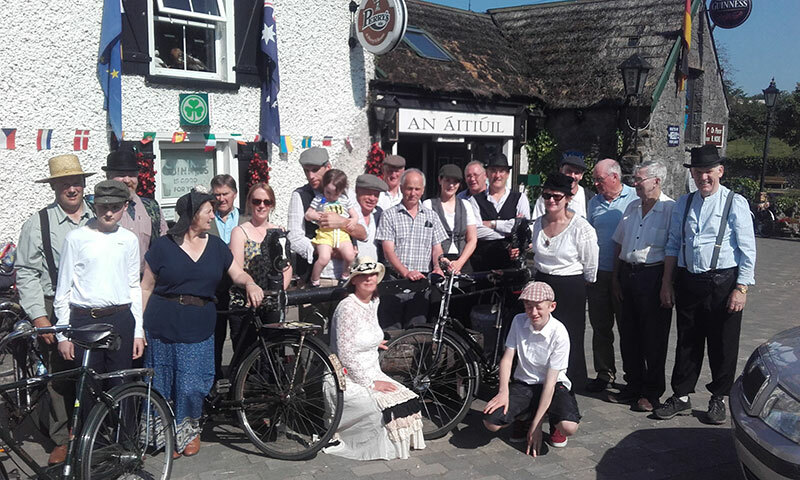 Kilkenny City has received many awards at national level over the years, including overall National Tidy Towns Winner in 1985 and again in 2014. It was also overall National Winner in the 2013 Best Tourism Town competition and the Irish Business against Litter competition.